Buy tickets for the rock and roll band Greta Van Fleet tour stop at the Marquee Theatre in Tempe Arizona. Must see live concert from Greta Van Fleet. 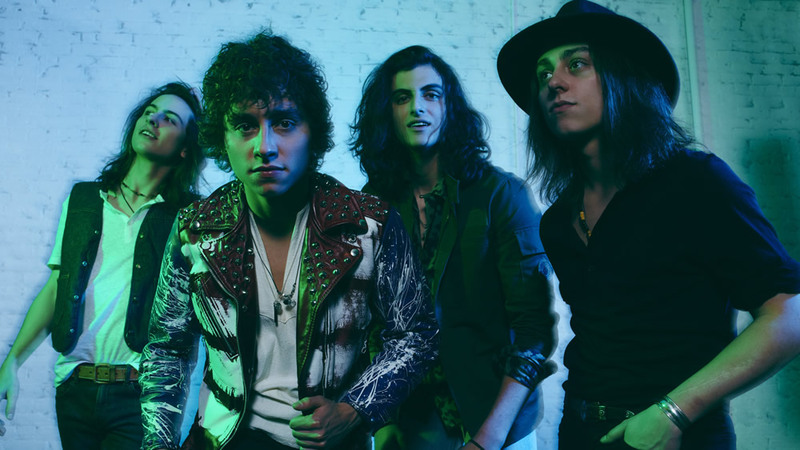 Greta Van Fleet is a four piece band comprised of twin brothers Josh Kiszka (vocals) and Jake Kiszka (guitar), younger brother Sam Kiszka (bass/keys) and longtime family friend Danny Wagner (drums). The band hails from a tiny Michigan city of Frankenmuth known known for its Bavarian-style architecture and the feeling of Christmas all year long. Greta Van Fleet is a product of their musical influence supported by their parents extensive vinyl collections which helped give them an identity that can be seen in the music they create today. Their high-energy fusion of rock’n’roll, blues and soul is a refreshing take on rock music. 2017 was their first year as a professional band and during this time, they put on a host of sold-out concerts in North America and Europe with high praise from the press and fellow artists from Justin Bieber to Elton John to Mötley Crüe bassist,Nikki Sixx. Their style of rock and roll has garnered them millions of YouTube video plays and Spotify streams, two #1 singles at Rock Radio and two #1 EPs, and most importantly, a huge following of very dedicated fans. Their single “When The Curtain Falls” was released on July 17, 2018 and peaked at number 6 on the Billboard Mainstream Rock Songs chart. Catch Greta Van Fleet live in concert and see for yourself why this band is determined to make Rock relevant again.